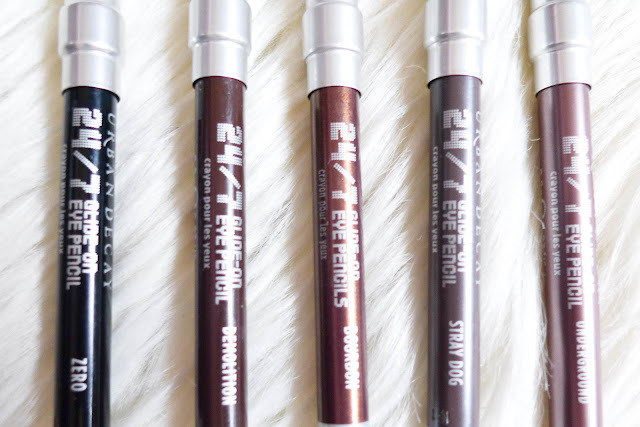 This set of 5 pencils is a great way to (finally) try out the Urban Decay 24/7 pencils. To really try out these highly raved-about eyeliner pencils out, they were the only eye makeup I brought to the trip to Nepal (HERE) for the span of 8 days and all I needed. The combination of these Urban Decay 24/7 pencils an be used alone or together create an complete eye look. I found Zero and Demolition are particularly good for lining the waterline since they are matte and dark enough. I believe these pencils get their hypes from being so long lasting and smooth. 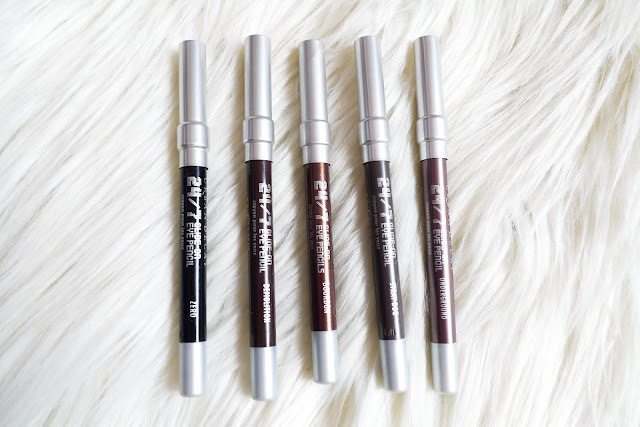 Compared to Milani Liquif'eye eyeliner pencils, the Urban Decay 24/7 pencils are less creamy and have a firmer consistency, of which make them more smudge proof. However you do need to let them set for a few seconds / run over them with the lightest touch of loose powder. Each pencil is 0.03oz - compared to a full size 0.04 oz and costs $18, this $32 set is a great deal. Are they worth the hype? Yes & No. Yes - they are creamy and very easy to apply, stay on all day and smudge proof. 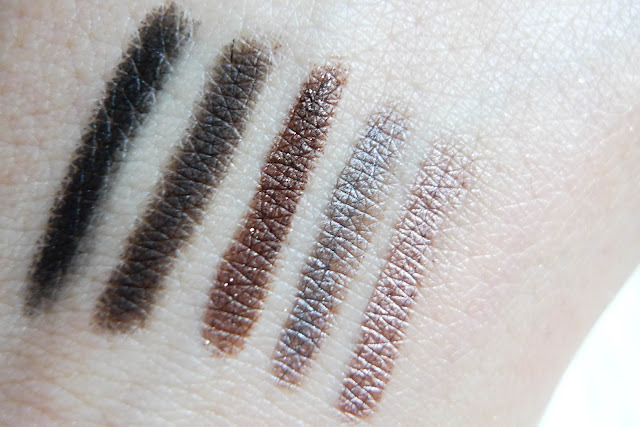 No - they are not entirely crease proof if you were to use them as eyeshadow. Am I expecting too much? Perhaps, but together they easily create a complete eye look in seconds. They are also very creamy so often sharpening is needed. I wanted to post this up asap because they are currently on a steeper discount on Hautelook for just $19. That's $1 more than a regular full sized UD 24/7 pencils and a great chance to try out all these beautiful colors. Use the referral link HERE if you don't have a Hautelook account. The sales end tomorrow Wednesday 8AM EST.